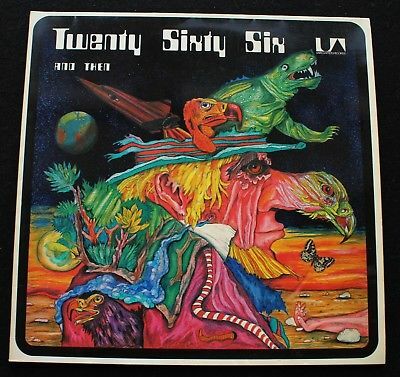 TWENTY SIXTY SIX AND THEN: Reflections On The Future, Germany United Artists 1972 1st pressing LP. Exceptional copy of this highly sought after heavy Krautrock masterpiece. DISC is MINT-, played once or twice, unmarked and super clean.COVER is MINT-, the best I have seen for this LP. Impossible to beat copy!! All items are garuanteed–in case of any dissatisfaction with this superb copy of 2066 And Then: Reflections On The Future, contact me, and we'll sort it out. All items are refundable if returned in the same condition as recieved.